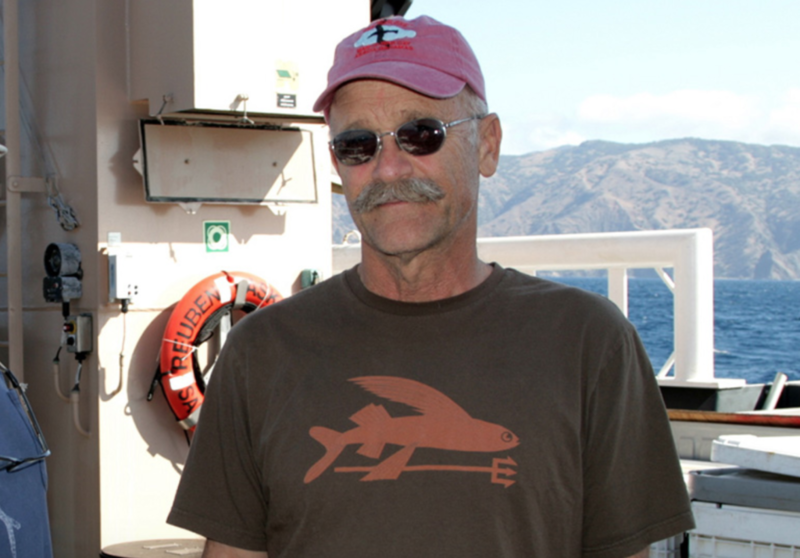 Hauser spent many years studying the ocean, and the wildlife that inhabits the beautiful vast deep unknown. Yet there were always things she could not predict. 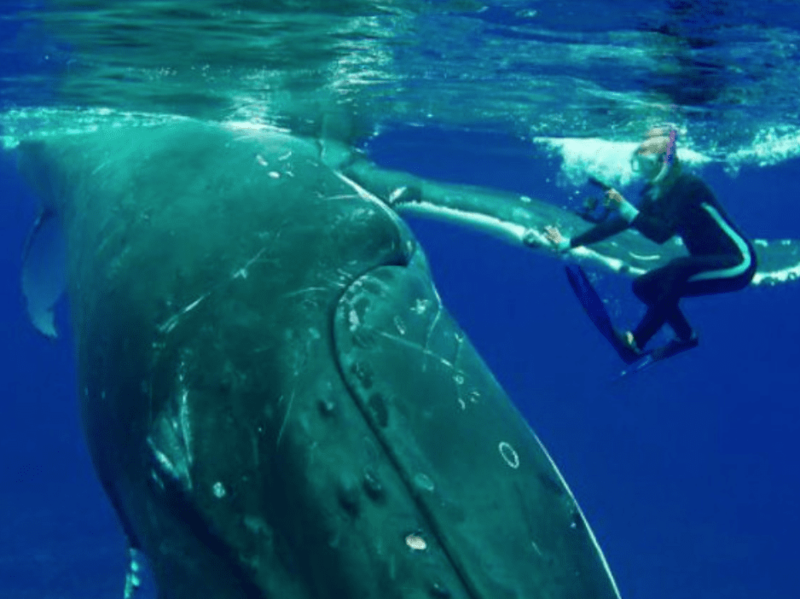 Hauser is one of the world’s leading whale experts. 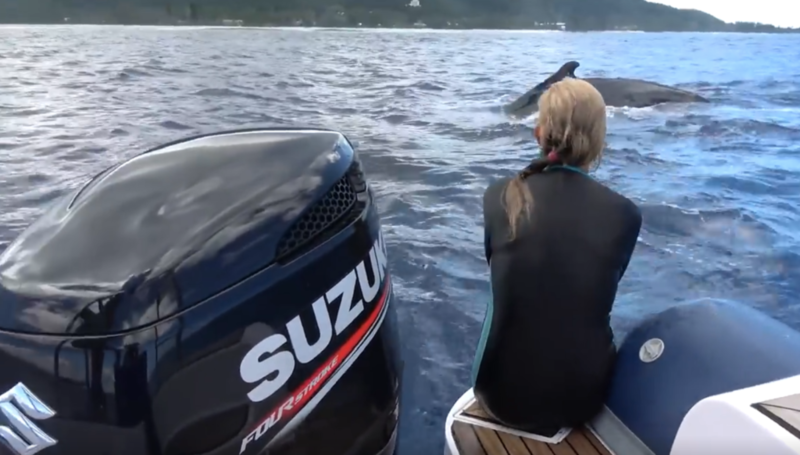 She lives in Rarotonga, on the Cook Islands in the South Pacific Ocean, where she is the principal investigator for the area’s Whale Research Project. This is definitely a job we would want. 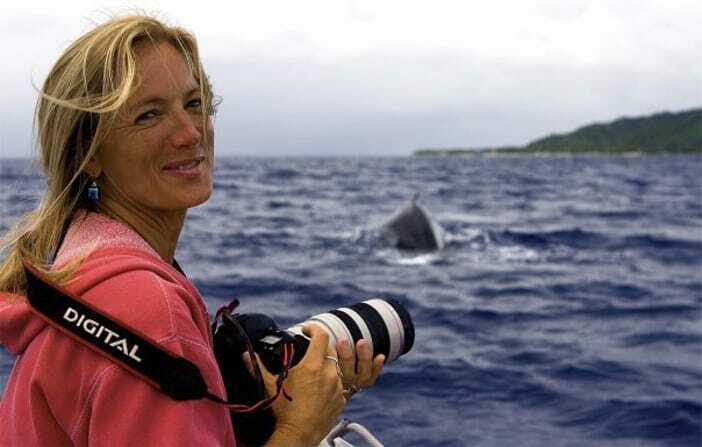 Hauser also makes films to educate the world about her favorite sea mammals. 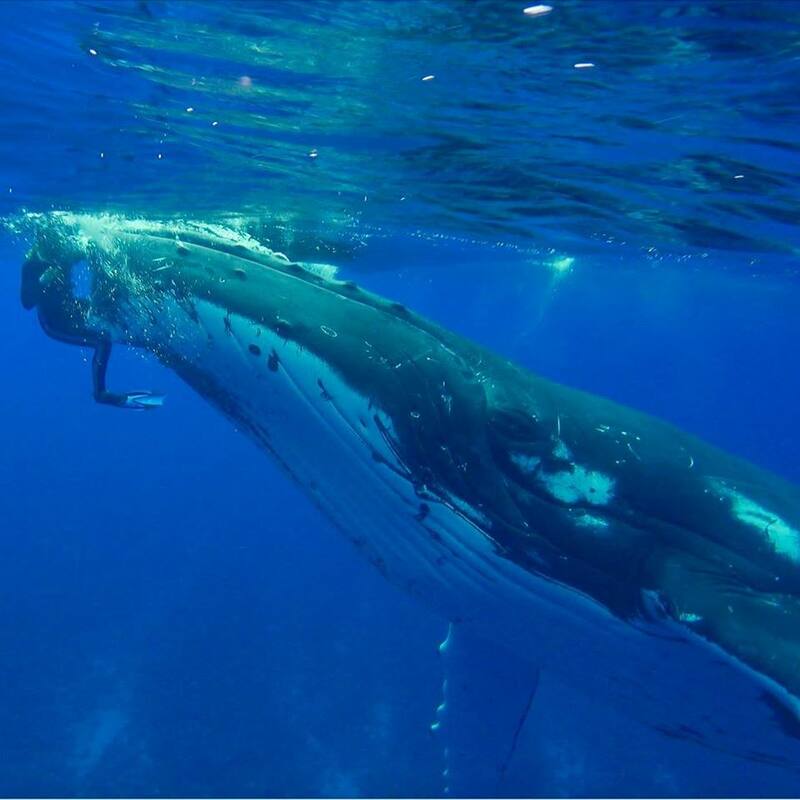 She helped turn the whole of the Cook Islands territorial waters (a whopping 772,200 square miles) – into a whale sanctuary, and she’s also a Cook Islands Marine Park trustee. She is definitely a woman helping to make a difference. 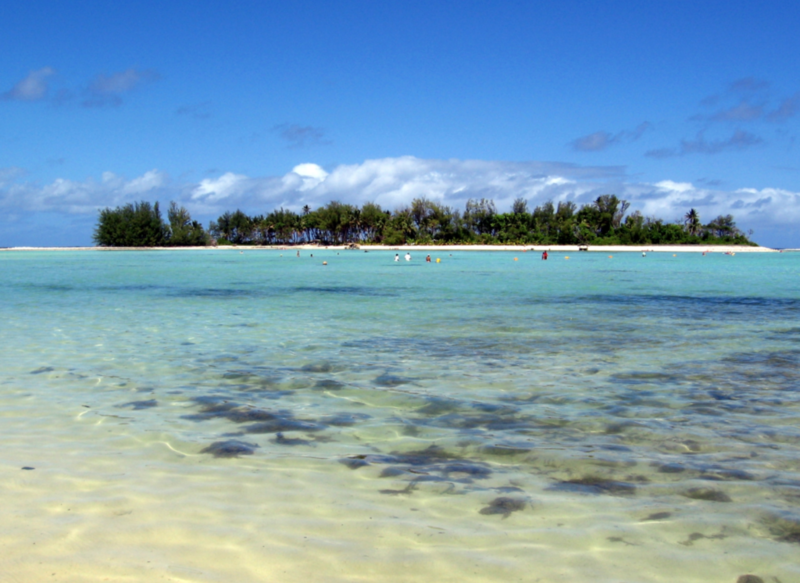 The Cook Islands are an incredible place for an oceanic researcher. Its marine sanctuary, called Marae Moana, is a tropical wonderland of biodiversity. 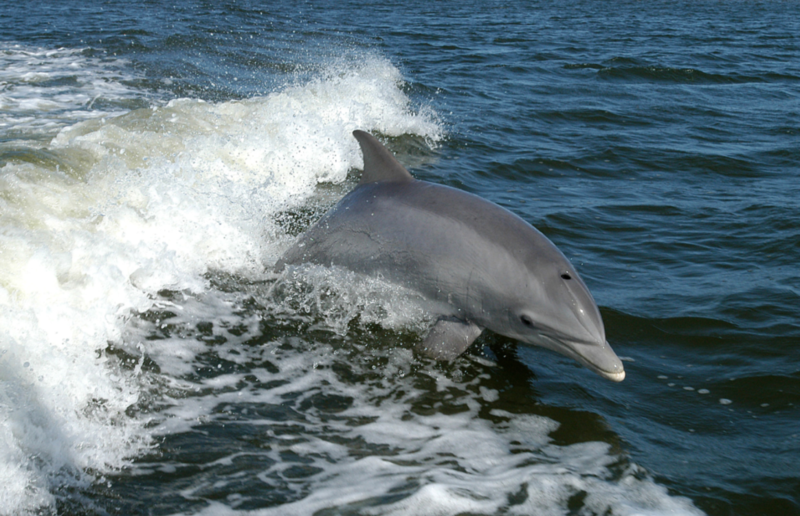 It is home to 21 species of dolphins and whales, more than 600 types of fish, 16 shark species and even endangered turtles. Weighing around 25 tons and spanning nearly 50 feet, the huge whale began rolling Hauser around in the water. 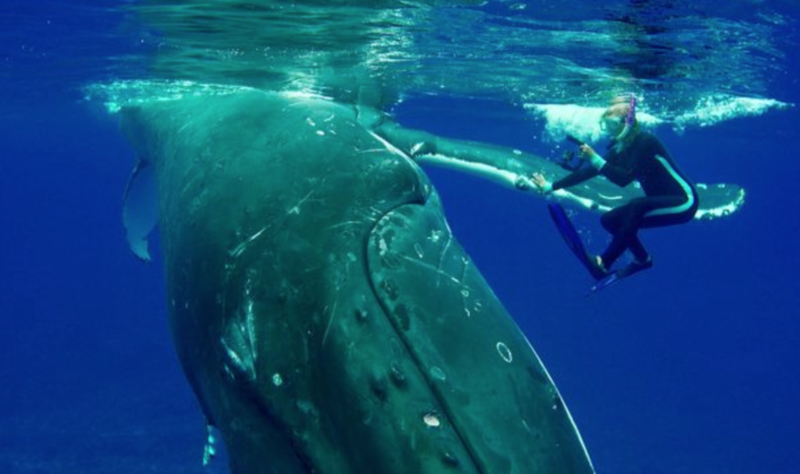 And while Hauser says she’s not normally scared of whales, in this instance she secretly feared for her life. The incident was actually recorded by Hauser and her colleagues on video. 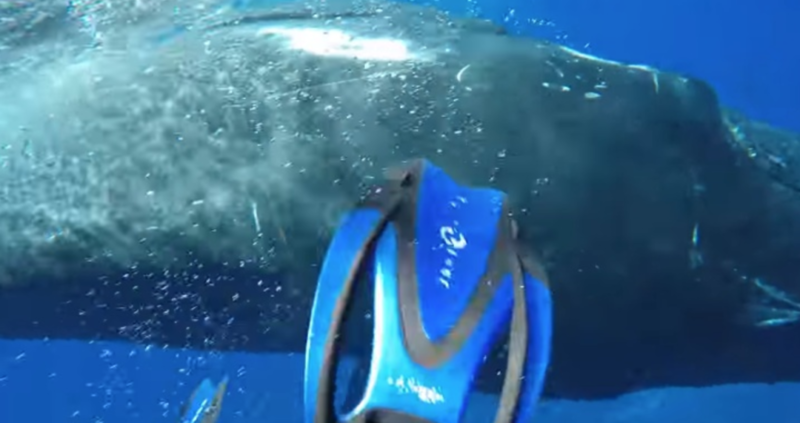 The whale can be seen swimming up out of the deep, towards the diving biologist. After surfacing for air, it comes towards her, repeatedly pushing her around. At one point, it even throws Hauser up out of the water. She is seen to be holding on for her life. She had never feared whales before this event. The water was her second home. But something happened today that shook her. In that moment she had to just do nothing but surrender and pray she would be ok, against its huge weight. 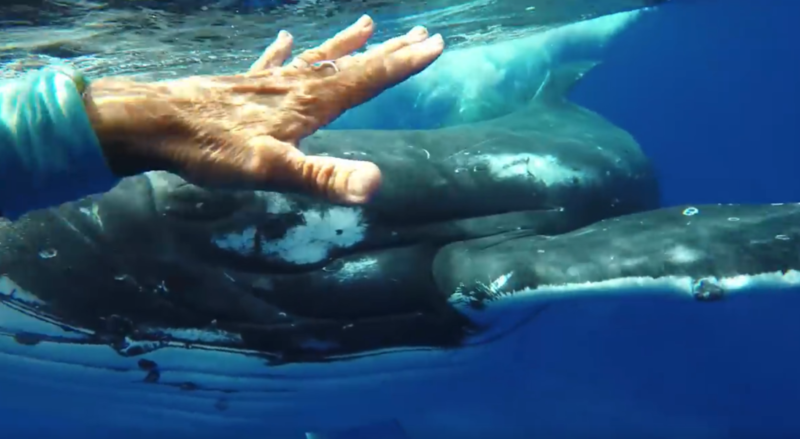 “I’ve been underwater with whales for 28 years, and this is just really unusual behavior. It’s crazy,” Hauser said. 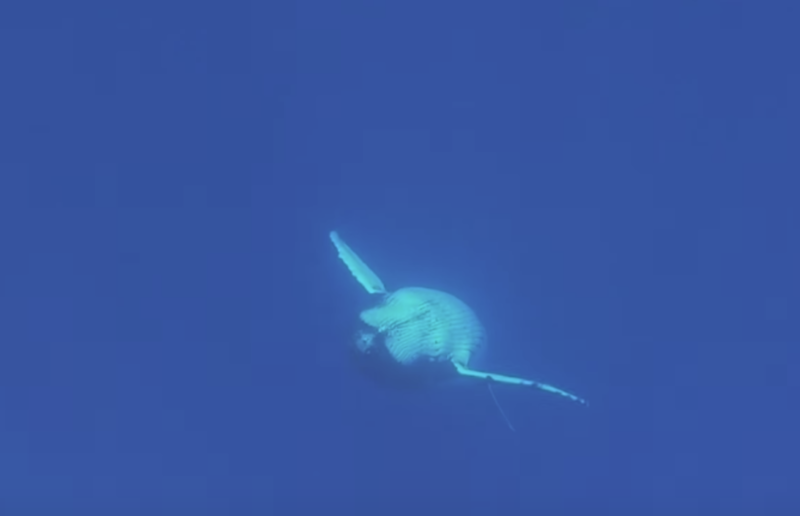 For more than ten minutes the underwater giant relentlessly shoved her around. 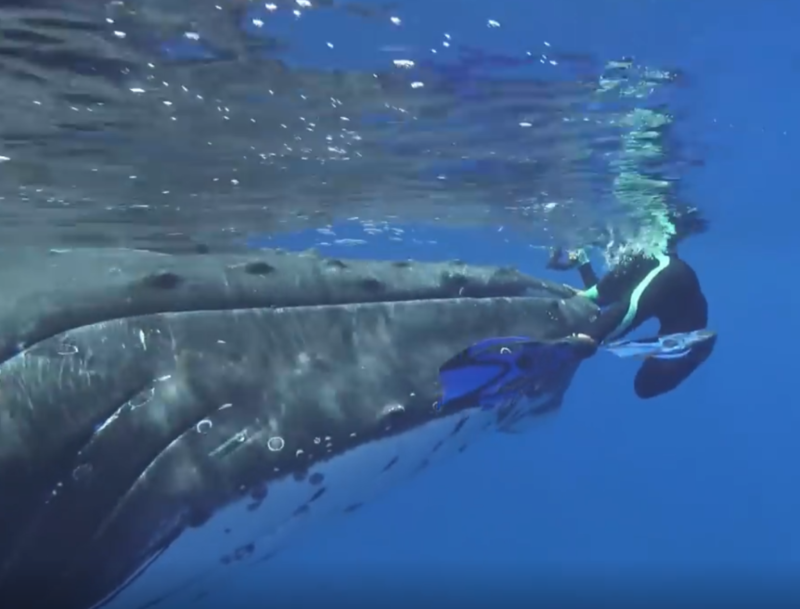 Hauser says it would have taken only a single blow from its huge whopping tail or fin to kill her in a second. She desperately tried not to panic. “I stayed calm to a point but was sure that it was most likely going to be a deadly encounter,” she said. Completely focused on escaping, it was only when Hauser managed to move slightly away from the whale that she noticed yet another threat. 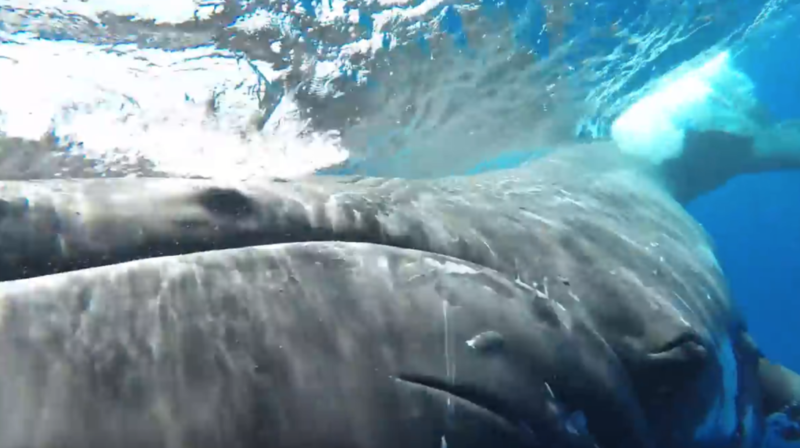 As she approached the boat, Hauser saw what looked like a second whale in the distance. 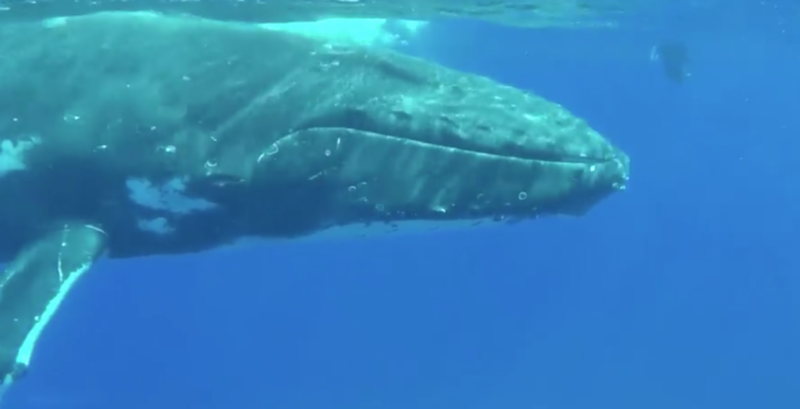 It appeared to be thrashing at what she assumed was yet another whale with its tail. What would she do now? She may have known these waters, but she was not prepared for what could happen next. She was exhausted already, but this threat was even more scary, and potentially could end her life with one thrash of its tail. How would she get out of this situation? 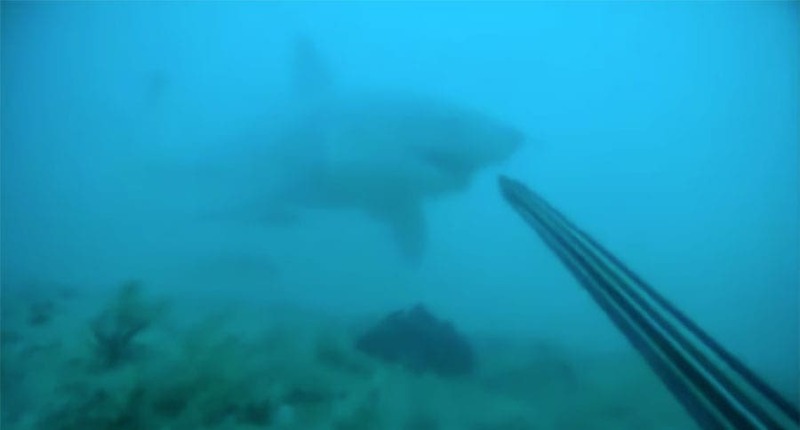 This threat was a huge tiger shark. It was approaching fast, and her heart pounded as she quickly tried to think quickly, so as not startle the shark. Was it coming for her? She now had the whale and the approaching shark surrounding her, there was no way to turn, she was not sure if she should swim away, or see what would happen. Yet in that moment, as the shark started to get closer, something clicked and she had a huge realization. 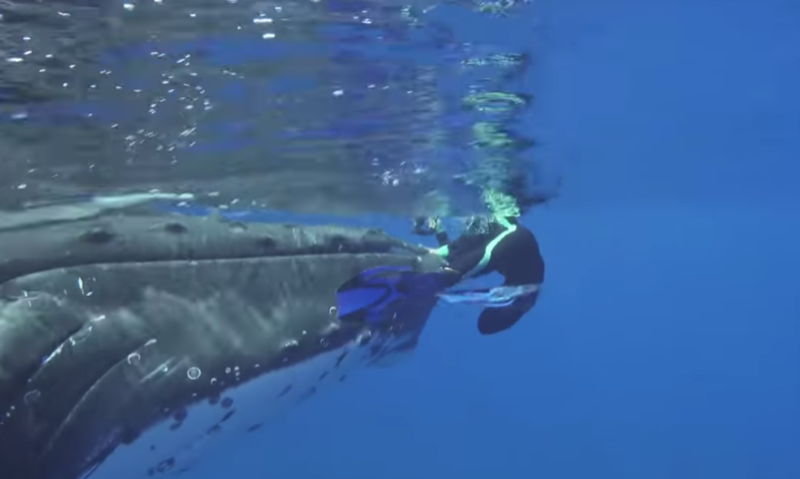 Hauser quickly realized what the whale had been doing. Amazingly, it had been keeping her away from the approaching predator. She’d heard of the giant creatures protecting other animals from threats before, but this was the first time she knew of one protecting a human, let alone seeing it in action. 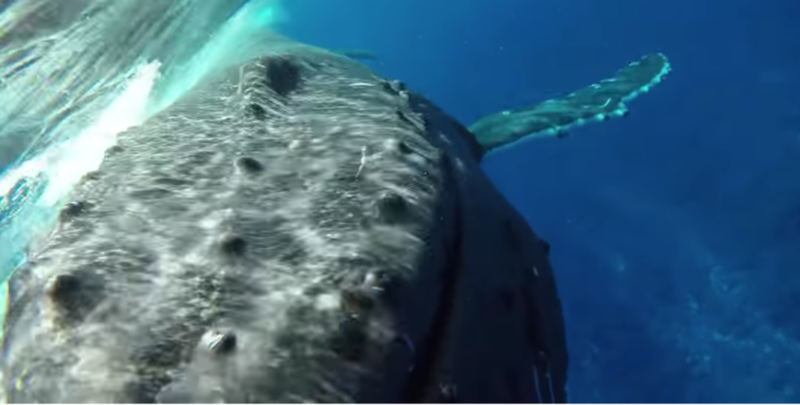 The humpback really is a gentle giant. It can reach 60 feet in length and 40 tons in weight, imagine having that thrashing you around. It achieves these massive proportions on a diet of tiny sea creatures and plankton. And although the species was once highly endangered, conservation efforts mean their numbers have now increased greatly. 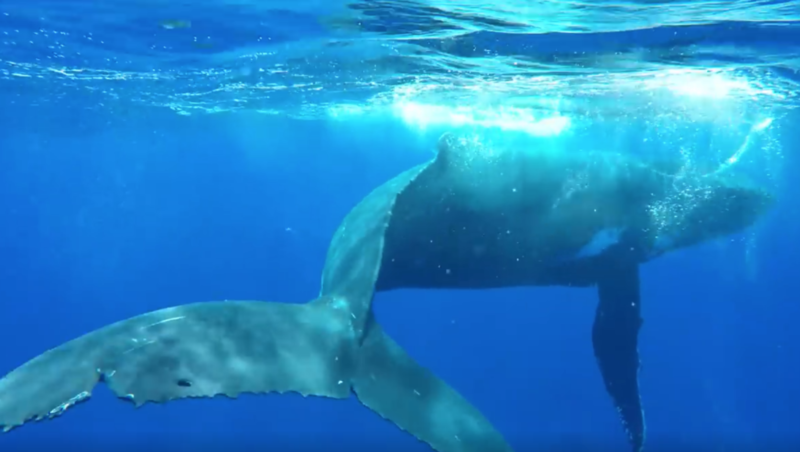 Meanwhile, as Hauser was aware, there are many stories of humpbacks saving other animals from predators, usually killer whales. In fact, over the past 62 years, at least 115 such interactions have been recorded. 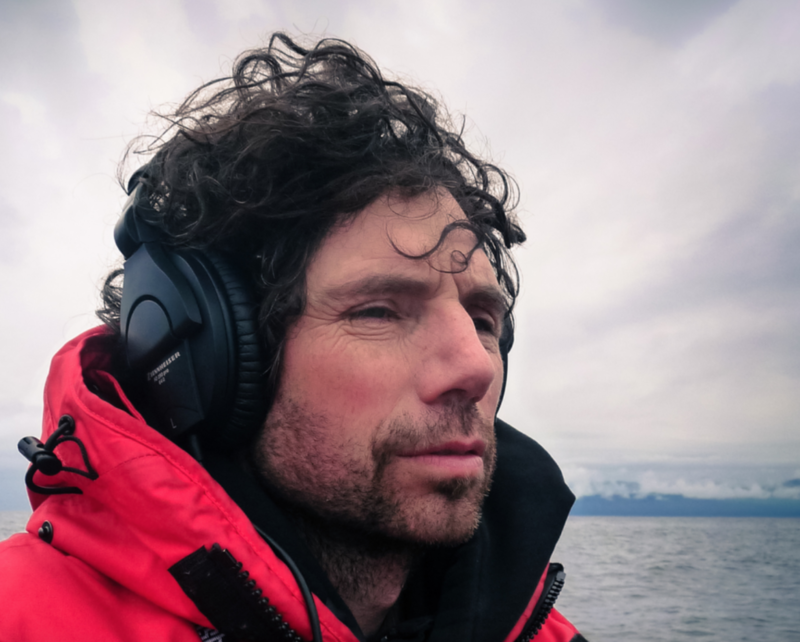 In one instance, Robert Pitman, a marine ecologist, reported seeing a humpback deliberately heft a seal from the water to save it from a pack of killer whales. 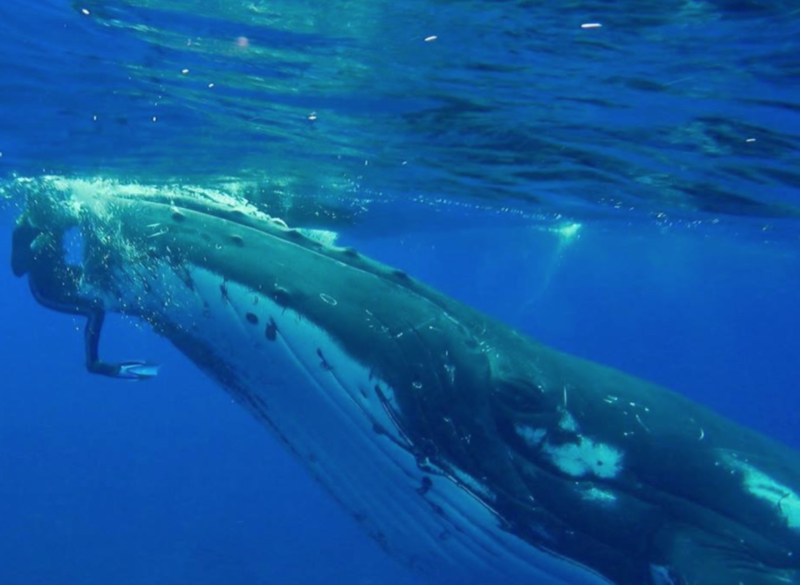 Fred Sharpe, who researches humpbacks with the Alaska Whale Foundation, told Hakai magazine in August 2017, “[Humpbacks] are directing their behavior for the benefit of other species. But there’s no doubt there are important differences between human compassion and animal compassion.” Wow how amazing. It’s intuition the biologist compares to firemen being willing to rush into a house on fire to help save the lives of those they do not know. Meanwhile, tiger sharks, like the one spotted by Hauser, are more ruthless predators, that can grow to 25 feet long and can weigh almost a ton. They have a fearsome reputation and for good reason; indeed, only great white sharks attack more people. 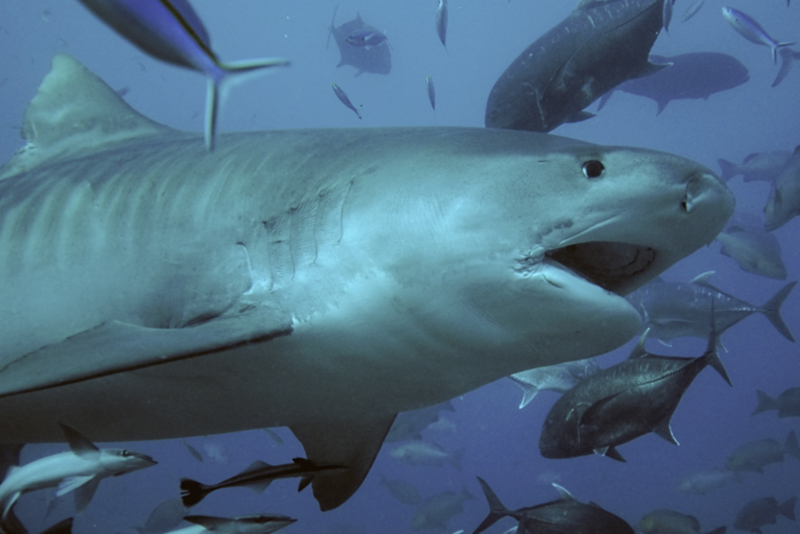 But while great whites often abandon their human victims after a quick bite, tiger sharks will usually keep on eating. Tiger sharks are a common sight around the warm waters of the Pacific islands, where their main diet consists of seals, birds, turtles, fish and dolphins. 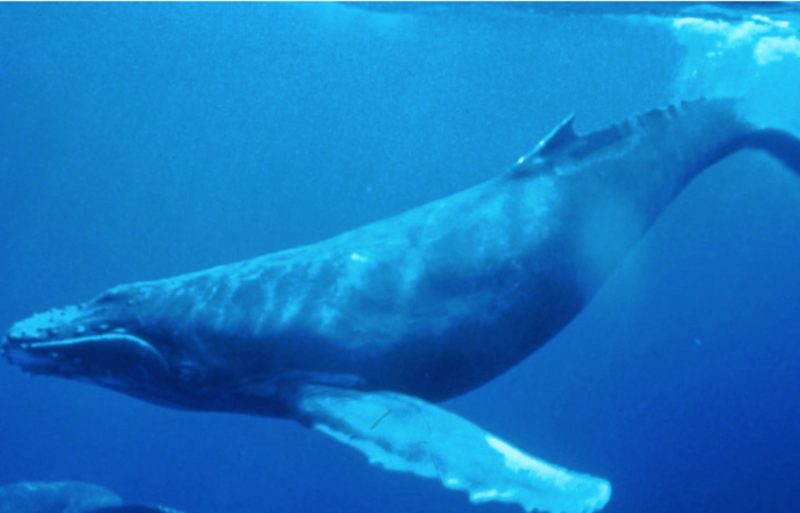 Although normally a bit of a loner, the species has been known to attack humpback whales, albeit when part of a group. 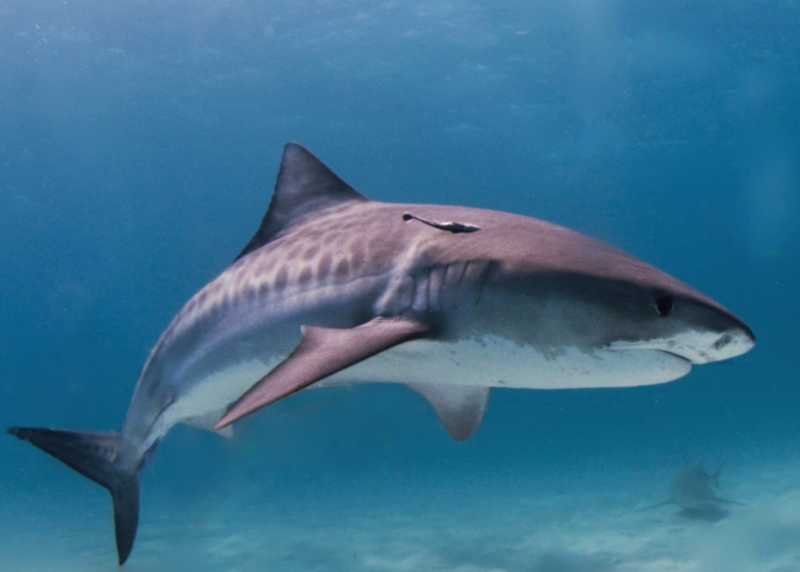 Sadly, the tiger shark’s days may be numbered, though: thanks to fishing and a high demand for its fins, the species is categorized as being near-threatened. 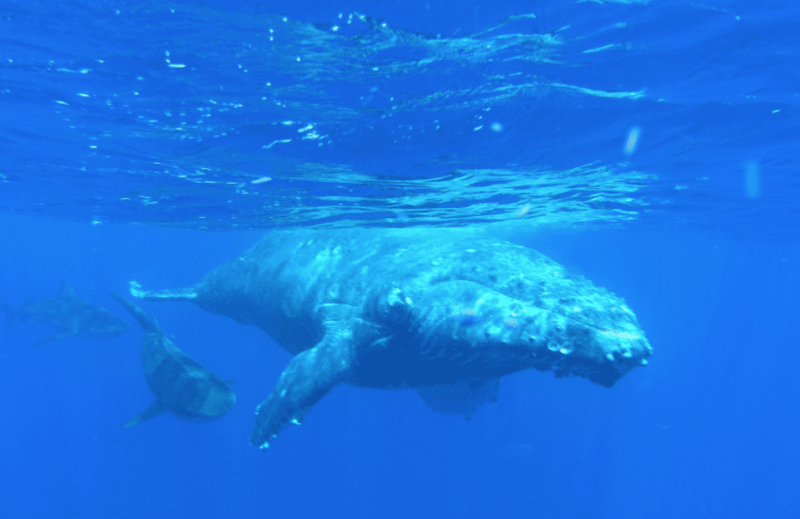 It is not possible to know exactly what the whale intended with its behavior, but the experience will forever be special to Hauser. 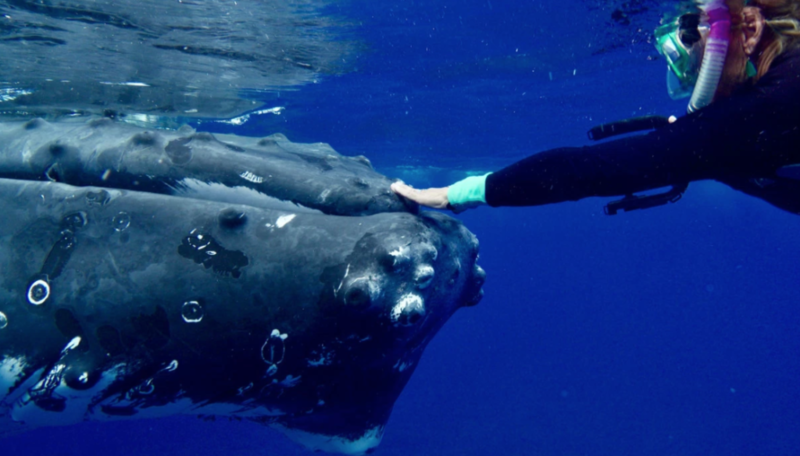 “I’ve spent years protecting whales, and in the moment, I didn’t even realize that they were protecting me,” she said. 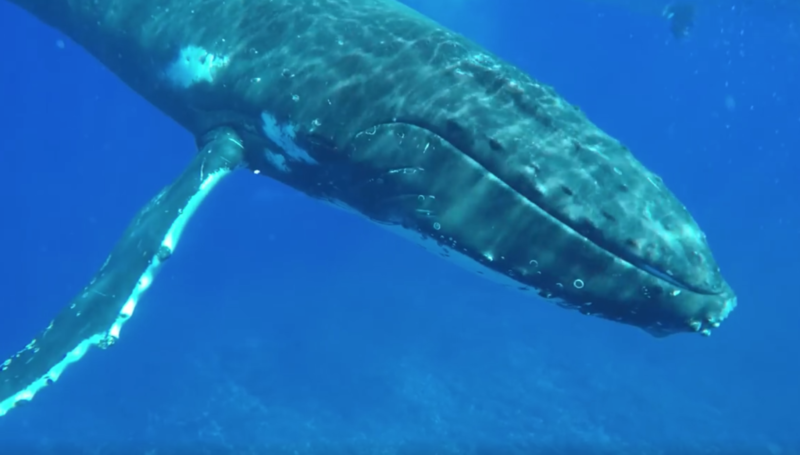 The biologist now hopes to share the footage she and her team were able to capture, in order to expand research and awareness of such actions from whales.